If you are a fan of trees, then you won’t want to miss another Arbor Day! Arbor Day is the one-day, formally designated across our entire nation to honor, plant and enjoy trees. In November all across Hawaiʻi people celebrate trees with free tree giveaways, tree planting, gardening demonstrations and woodworking and craft exhibits. Over 7200 trees are given away to residents on Kauaʻi, Maui, Hawaiʻi and Oʻahu. 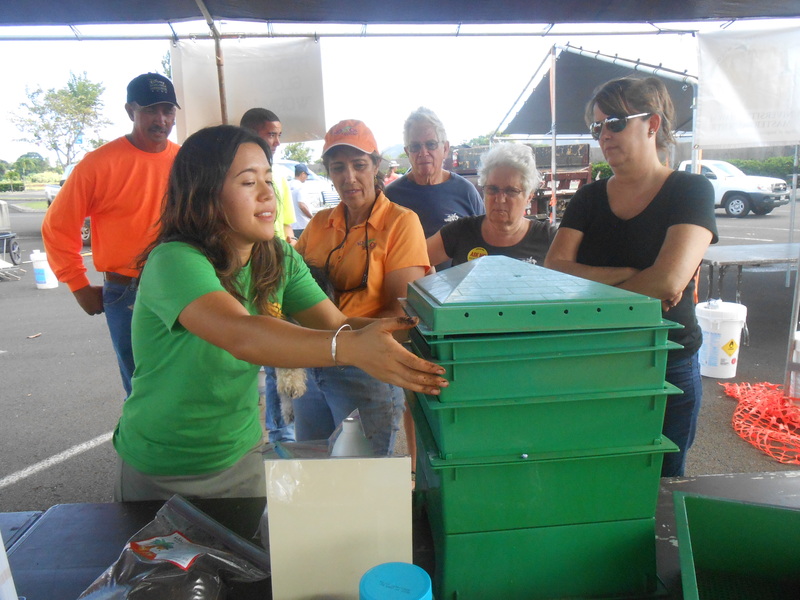 Community leaders on each island host the events providing plants, professionals who teach how to plant and care for the trees, education, volunteers and even compost and mulch. Be sure to mark your calendar for the Saturday following the First Friday in November – so that you and your family can join in the celebration of trees in Hawaiʻi. 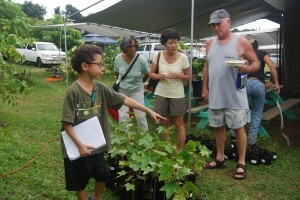 Find an event near you at ArborDayHawaii.org! 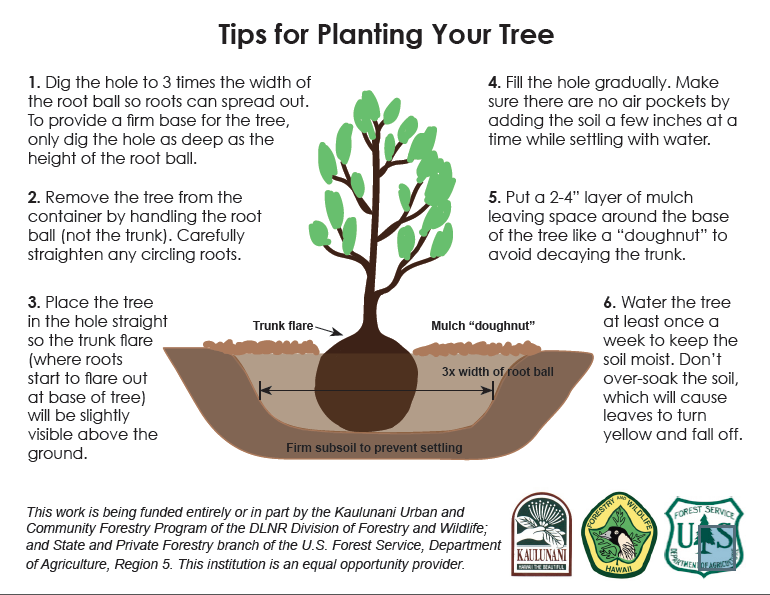 “Arbor Day gives us the important opportunity to share with the community of [Hawaii] the importance of urban forestry, and a grander scale, the importance of how urban forestry impacts the entire ecosystem of Hawaii. Today, advocates of Arbor Day in Hawaiʻi are big proponents of native and Polynesian introduced plants with a sprinkling of food trees and soil saving ground covers thrown in. The island giveaways have become a way to celebrate trees and gather with friends, new and old. Each islands’ giveaway has taken on a special character. Featured below are glimpses into the celebrations across the State. Kauai Island has a very strong local commitment to Arbor Day. The Kauai Landscape Industry Council and a strong team of local sponsors see Arbor Day as an opportunity to bring the community together to learn how they can become involved in preserving Kauai’s biodiversity and ecosystem health. 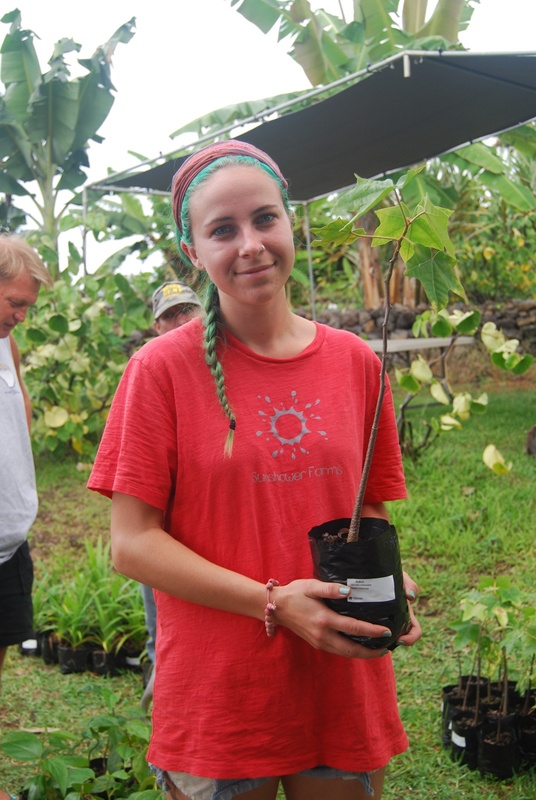 This year nearly 1900 trees were distributed featuring an assortment of native trees, shrubs, and groundcovers, Kauai residents consistently ask for fruit trees so several types were offered–white capote, star apple, bilimbi, and breadfruit. Kauai also distributes non-invasive popular ornamentals including Kauai Beauty ti, African gardenia, and pua kenikeni. Volunteers and partners for the event are numerous and include conservation groups from around Kauai, as well as hotels, The UH College of Tropical Agriculture and Human Resources (CTAHR), the native plant society, National Tropical Botanical Garden, and the Kauai Invasive Species Committee. 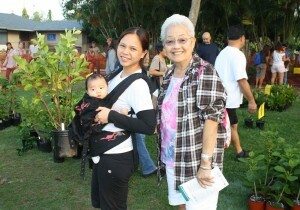 Nearly 700 community members stopped by to get a free plant. On Oahu, the Oahu Urban Garden Ohana gives away over 2,000 trees and shrubs at locations across the island. Events and the Pearl City Urban Garden Center, Foster Botanical Gardens, Waimea Valley Center and Wahiawa Botanical Garden will offer a variety of educational programs to help residents learn more about the trees they will receive and how to best care for them so they will provide families with many benefits for years to come. Partners for the events include the City & County of Honolulu, Smart Trees Pacific, UH CTAHR Master Gardener Program and the Aloha Arborist Association.